We all know that access to clean water is crucial for our well being. We need it to cook, drink and bathe. But did you know access to clean water is also crucial for a child's education? "In many countries children, particularly girls, are responsible for collecting water... Many children are frequently absent from school because they are collecting water or they are sick with water-related diseases." Education has the power to break the cycle of poverty. When you give a child access to clean, drinkable water, you give them hope for a better, healthier life! Clean water puts kids back in school. 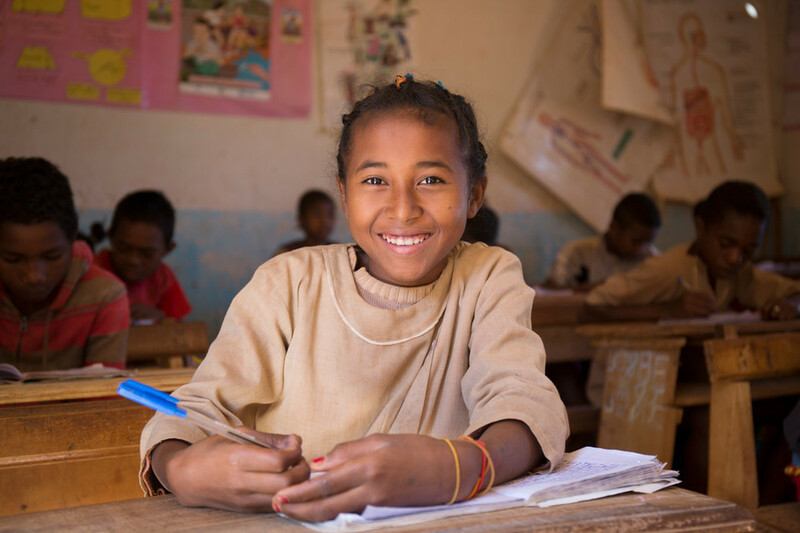 6 year old Cynthia Ramaholinirina sits in class in her village of Belavabary, Madagascar. “Before, my uniform was often dirty as I used to be a bit dirty. Since we have had running water in our village, my uniform is always clean as I wash it every week, and I am also clean.” 12 year old Voary. Young students know the importance of washing stations and latrines in school. Older PostMama Feature: Raoly, Now.